At last, it looks like Fitbit is planning to build another version of its 'mass appeal' smartwatch the Fitbit Versa. 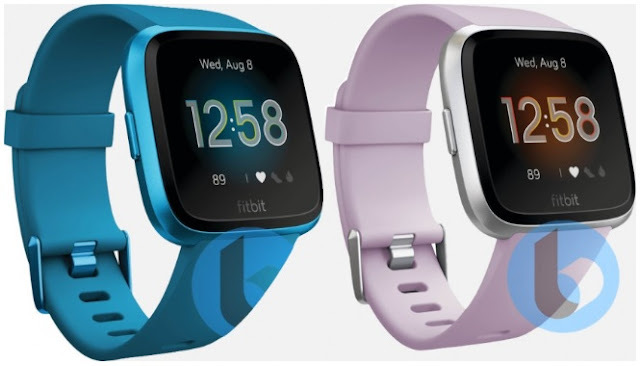 Fitbit is a very well known name in the Fitness Industry and just a year after the launch of Fitbit Versa we could be seeing a new look, Fitbit Vera 2 coming soon. But, that's if all the imagines shown by TechnoBuffalo happens to be a real deal. The series of renders show a device that looks identical to the current Versa, except they appear to come in a new metallic look that we've yet to see Fitbit roll out. This new-look Versa is coming in different colours including silver, rose pink, purple and cyan blue, but aside from that, they look quite identical to the first version. Again, aside from the colours, the pictures shown do not appear to show any other new features. The renders showing the back of the watch appear to have the same sensor layout and charging port. TechnoBuffalo has said that they do not have any confirmed specs list but based on the information known, we may not expect major improvements over the first version of the Versa. The likely specs include 50M water resistance, a pulse heart rate monitor and an aerospace-grade aluminum case. One of the biggest omissions from the original Versa was GPS, but these renders suggest that Fitbit may still omit this from the Versa 2. There’s also a 6-axis sensor which may add gestures to the interface, or could be used for tracking specific workout exercises. For the launch date? we are not very clear yet, but if we consider when the original Versa was launched, at the first half of 2018 (March 2018) and going on sale a month later, we might not be too far away from an official unveiling of the Versa 2.